The World Rally Championship has had two series of games dedicated to them, with surprisingly (and confusingly) similar names. 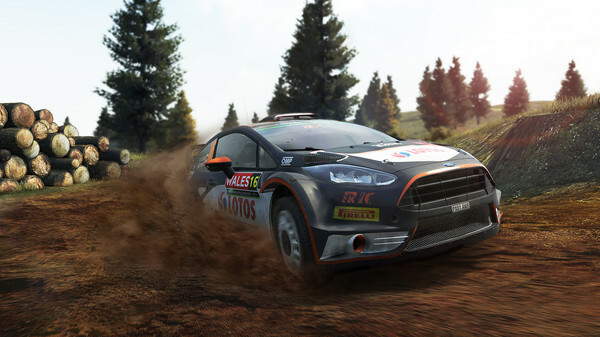 WRC 4: FIA World Rally Championship came out in 2013, but WRC 4 had already come out in 2004. Now, with the release of WRC 5, that is finally a thing of the past. The old series never made it past a fourth edition and that means we can talk about upcoming games without the confusion as to what game we’re talking about. Let’s not do this again, people. All joking aside, WRC 5 comes with some major changes when you look at it and compare it to the previous game. It’s the first game in the series to appear on the latest generation of consoles, although it’s also available for X360 and PS3. Oh, and for the Vita… and for PCs. There’s also a new developer at the helm, with Kylotonn games replacing Milestone – who had developed the last few WRC games and will be releasing Sebastien Loeb Rally Evo for Namco Bandai some time next year. They’re race game specialists (who also develop the MotoGP series), whereas Kylotonn’s credits only include last year’s Motorcycle Club – an average racing game that was distinctly arcade-like in nature. It’s quite a bit of background info, but it translates well to what WRC 5 has ended up becoming. While a lot of rally games – and Codemasters’ Dirt Rally is no exception, strive for an accurate simulation of the sport, Kylotonn’s WRC 5 strives to create the rally experience as best as it can. What I mean by that is that blasting through corners on slippery surfaces like a pro is far easier here than it is in Dirt Rally, a game that’s designed with rally purists in mind. What Kylotonn is trying to do is bridge the gap between the accessibility of an arcade game and the simulation aspects that fans demand of a rally racing game. For the most part, they’ve succeeded. What makes rally racing different from other racing genres is that you race alone, without other cars to pass. Your aim is to get past the checkpoints and to the end of the course as quickly as possible, hopefully snagging the top time of the day in the process. It may sound rather simple and even boring that way, but at the heart of rally racing lies the need for a skillset required to traverse its tricky and often dangerous courses. Rally’s most spectacular courses will have you speeding inches away from trees and ravines at speeds of over 240 kilometers (or 150 miles) an hour. It takes a special type of skill (and person) to do this, and WRC 5 makes it possible to do this with a DualShock controller in your hands. Adding to the challenge is the fact that you’re not just facing the difficulties of the course, you’re also battling the elements. Racing at night is very different from racing during the day, but the biggest challenges come from the surface. The game will have you racing across gravel, snow, mud and dirt – and some good old-fashioned asphalt as well – and every surface behaves slightly differently. With WRC 5 being a bit mode arcade-like, the difference is not enormous, but it’s definitely noticeable. What’s more is that these differences don’t just occur per track – they are changes you can notice from one corner to the next. This keeps you on your toes, and will make sure it takes you a while to master each and every track. The graphics and audio aspects are nicely done, but the likes of Forza 6 and Project Cars show that WRC has a limited budget to spend when compared to those giants of the racing genre. 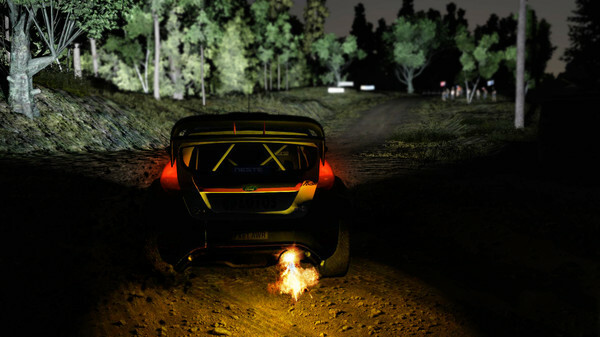 It also means that the jump to “next gen” isn’t too shocking, although the weather effects are definitely much-improved over WRC 4 – as are the details in the terrain and the damage model. Whether all this will please rally purists is doubtful though. While Dirt Rally is a game that many will play with dedicated setups and steering wheels, WRC 5 is a game that’s best at home in the living room. It creates the feeling that you’re engaging in some of the most demanding feats in racing, but doing so isn’t actually that demanding. It appears to have been designed to be fun, not punishingly difficult like rally racing really is. As somewhat casual fans of the sport we definitely didn’t mind and we had a lot of fun playing the game, but it might put off some die-hard fans of the sport. Still, Kylotonn did a good job with WRC 5 and we were pleasantly surprised after the very average Motorcycle Club.